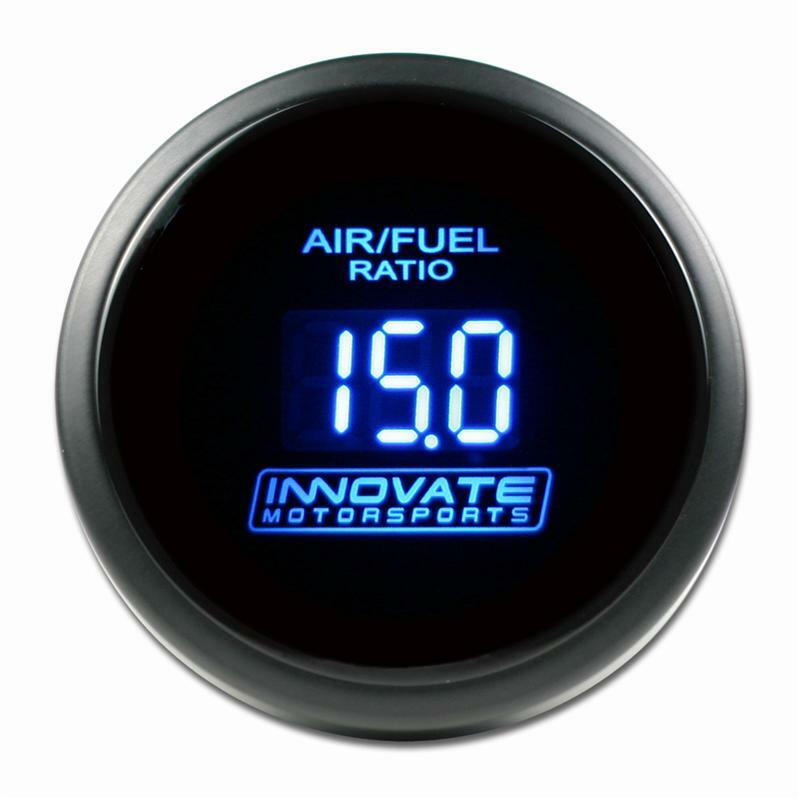 The Innovate Motorsports DB gauges are 52mm (2 1/16”) air fuel gauges. Each gauge features a bright LED available in blue or red. Each kit includes the gauge, an LC-1 wideband controller, oxygen sensor, bung, and the award-winning LogWorks engine-tuning software. LC-1 incIudes Innovate serial in & out for adding additional modular tuning system (MTS) components. (Gauge itself is analog only- no serial). For tuners seeking the most cost-effective way to start monitoring Air/Fuel Ratio, the DB series gauges offer an attractive option, while opening the world of true digital data acquisition and software engine analysis. For example, users can add multi-sensor interfaces (starting as low as $129), and log 5 critical parameters directly into any PC or laptop. Or they can get a DL-32 data logger for hundreds of hours of 32-channel data logging on an SD card. Best of all, the DB gauges include the powerful LogWorks software for synchronous high-speed logging of wideband data, other MTS sensors, and data from a growing list of “piggyback” fuel controllers and standalone or factory (OBD2) ECUs. This is the same software used by champion engine builders and racers. The DB-Blue or DB-Red Gauge Kit comes complete with the patented award-winning LC-1 Wideband Controller, DB Gauge, Bosch 5-wire Wideband 02 Sensor, Bung, Software CD, and quick start guide.